IMPORTANT NOTE: This list of ministry sites gives an example of the kinds of agencies with which DVs serve each year. Please check with staff to verify current availability. Please keep an open mind when discerning placement, as ministry is only one of many variables that determine a successful volunteer year. Applications continue to be accepted on a rolling basis until June 30th. Please call the DVUSA office at 312-226-0919 to discuss ministry options. 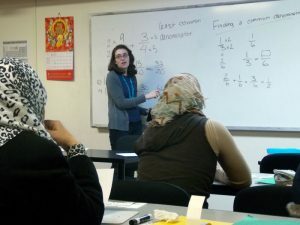 The Opening Word Program is a literacy, ESOL, and job readiness program, the purpose of which is to unlock the language ability of adult participants, providing them with a key to future personal empowerment, increased civic responsibility and enhanced skills for membership in the work force. As The Career Developer, the volunteer will develop and implement curriculum for English and basic computer literacy, and job readiness assistance for immigrant women in suburban New York. Effective and enthusiastic networking skills are essential for success in this role. St. Hugh recognizes is Gospel obligation to serve persons of all faiths who are in need. They do this through their parish Outreach program, organizations such as the St. Vincent de Paul Society, and joint efforts with other churches and with community and neighborhood groups. 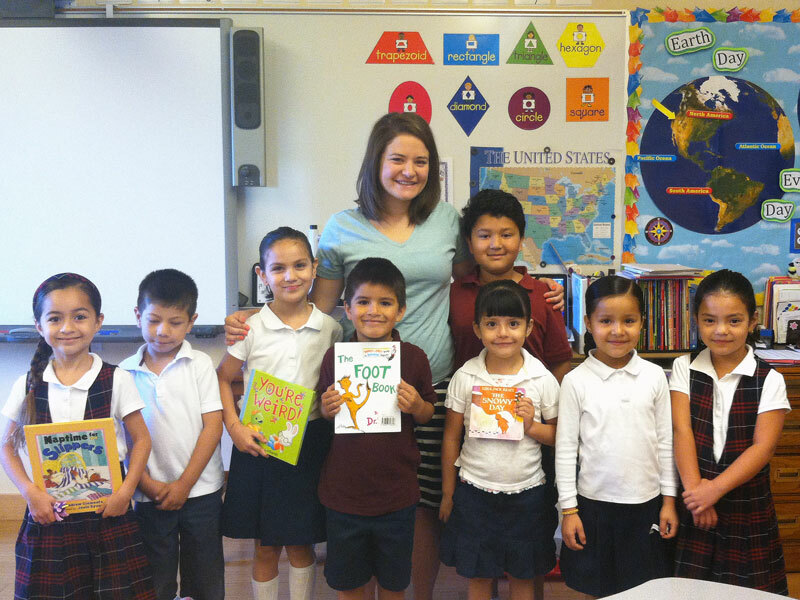 The parish community is quite diverse; Spanish language proficiency is requested. The volunteer’s time is divided between providing support in Parish Outreach and the Religious Education Program. 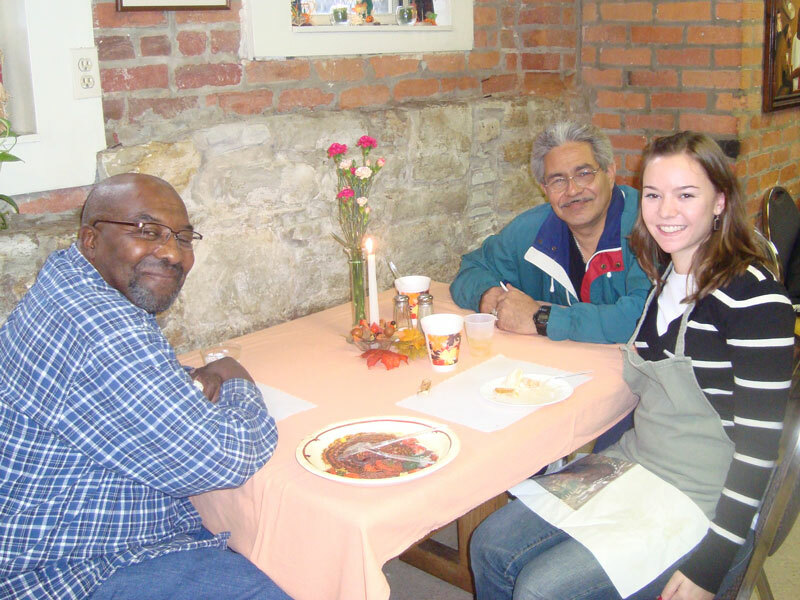 Outreach serves approximately 150 people on a weekly basis through the food pantry, reception, directing to services, and community sharing meetings. 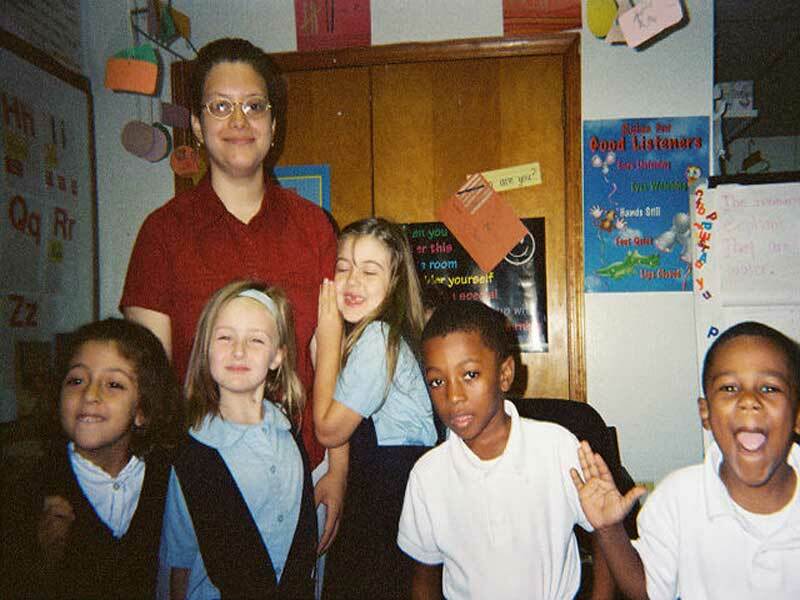 The Religious Education Program serves approximately 720 young people in Grades 1 through 8. The volunteer assists by familiarizing students with Catholic Social Teaching, the liturgical space, and an energized faith life committed to making a difference in the world. Queen of the Rosary Motherhouse provides complete care for retired Sisters. The practiced concept of care embraces physical, mental, social, and spiritual healthcare. 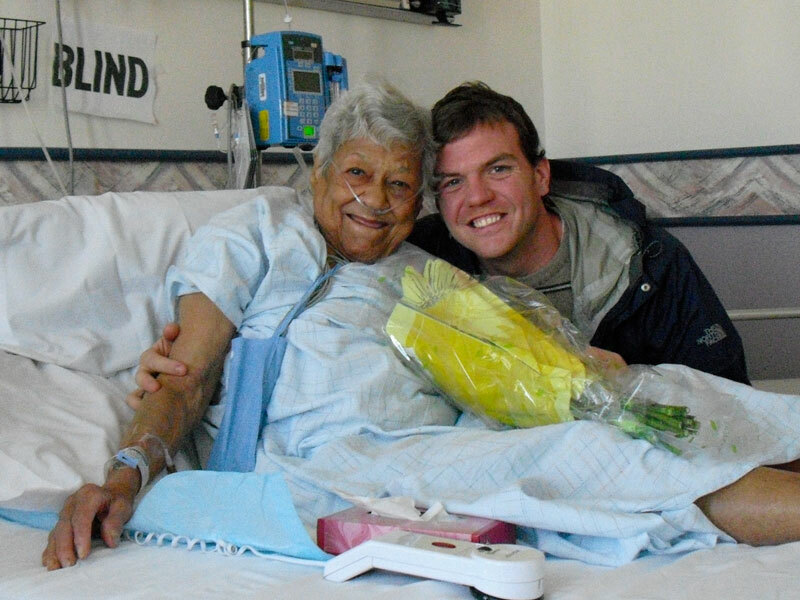 A team of caring healthcare professionals collaborates to provide best care practices for the aging and dying. 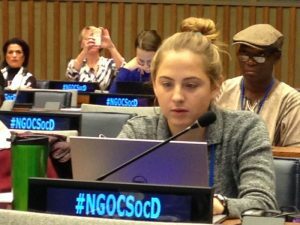 The Dominican Sisters Conference operates an NGO at the United Nations in New York City to support global action for justice and peace nationally, and to bring the perspective of the United Nations to the Dominican Family. 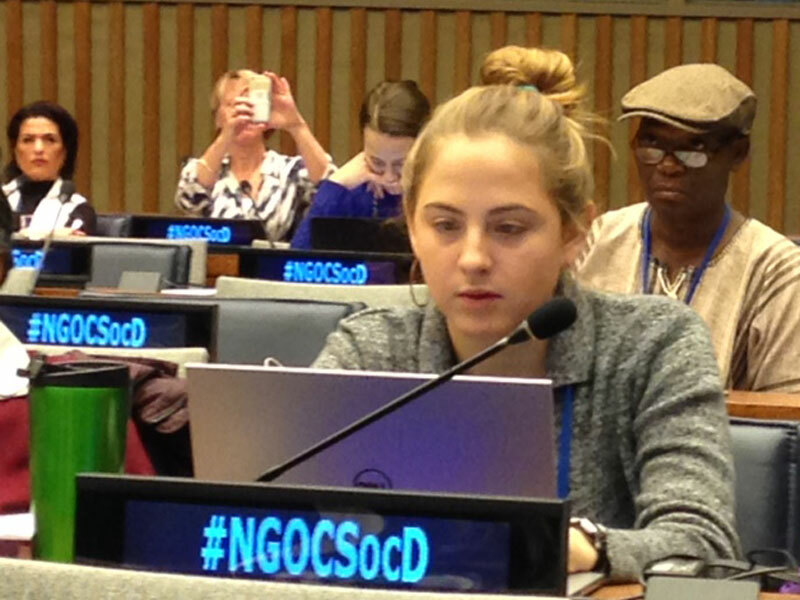 The volunteer will minister alongside Sr. Margaret Mayce, OP (Amityville), through building support for justice initiatives both through workgroups and committees and also through the NGO’s affiliation with the UN’s Department of Public Information and ECOSOC. Siena House is a temporary residence for women with children under 3 or who are pregnant and searching for suitable affordable housing. 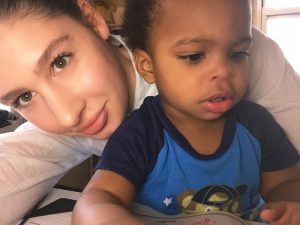 Siena House seeks to assist homeless women and their children to move from a situation of homelessness and poverty to independence and self-worth. Volunteer will provide assistance to women in seeking appropriate housing and job opportunities as well as provide programming for the children of Siena House residents. 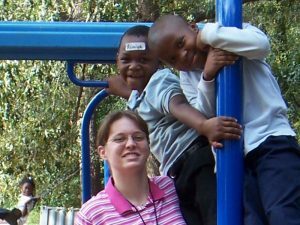 The Family Foster Care Program at Saint Dominic’s Home works to achieve permanency for children as quickly as possible and to provide services to children who have been abused and neglected as well as those who have physical, mental, social, development and emotional problems. The ultimate aim of Family Foster Care is to reunite children with their biological families. Volunteer will serve as a casework assistant to the child, biological, and foster family, providing needed support for a stable home environment along with the family’s social worker. The Developmental Disabilities Residential Program provides therapeutic services to adults with developmental disabilities using a “person-centered planning” philosophy. 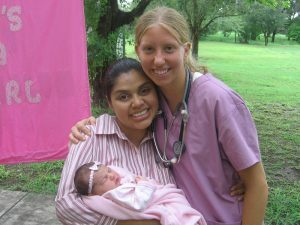 The volunteer will serve as a Nurse and provide daily care to residents. *Must be a Registered and Licensed Nurse (application for license in NY state required). The Br. David Darst Center is a social justice education center located on the southside of Chicago. It is unique in providing opportunities for youth and young adults to see more clearly the faces pushed to the margins of our society. In addition to gaining greater awareness of others, participating youth and young adults are challenged to respond to the many needs of our world as discovered and explored through Darst Center programs. Our goal is to invite a genuine conversation about the world around us, raising awareness, challenging perceptions, and encouraging behavioral change that reflects the Christian social teachings of peace, justice and appreciation of the dignity of every person and value of the earth. The Dominican Volunteer facilitates service immersion retreat experiences for visiting groups, exploring issues of justice and the reality of oppression. 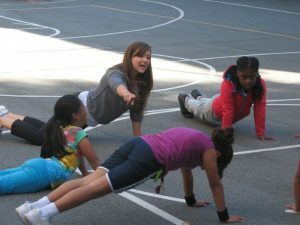 Girls in the Game empowers girls through sports education to grow up happy, healthy and strong. Girls in the Game is dedicated to the whole girl; to ensuring a bright future through leadership formation, instilling confidence that reflects in their academic life, and helping girls to be more physically active. Through sports, mentorship and teamwork, Girls in the Game helps over 3,800 girls each year overcome doubt and find their voice. 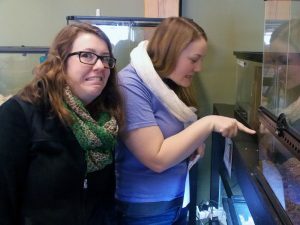 The volunteer helps create a safe space for girls and teens to be themselves. Heartland Alliance helps newly arrived refugees resettle and call Chicago home. Refugee & Immigrant Community Services (RICS) partners with refugees, asylees, immigrants and survivors of trafficking to address their needs by connecting them to their new community, providing education and employment services and the help they need to succeed in their new country. A refugee is someone who is unable to return to his or her home country because of persecution due to race, religion, nationality, membership in a particular social group or political opinion. Last year, Heartland Alliance served refugees from Bhutan, Burma, Eritrea, Iraq, Iran, Somalia, Cuba and Congo. The volunteer helps the employment team in Refugee Resettlement in developing relationships with employers to assist in job placement for refugees. One Million Degrees accelerates community college students’ progress on career pathways to economic mobility. 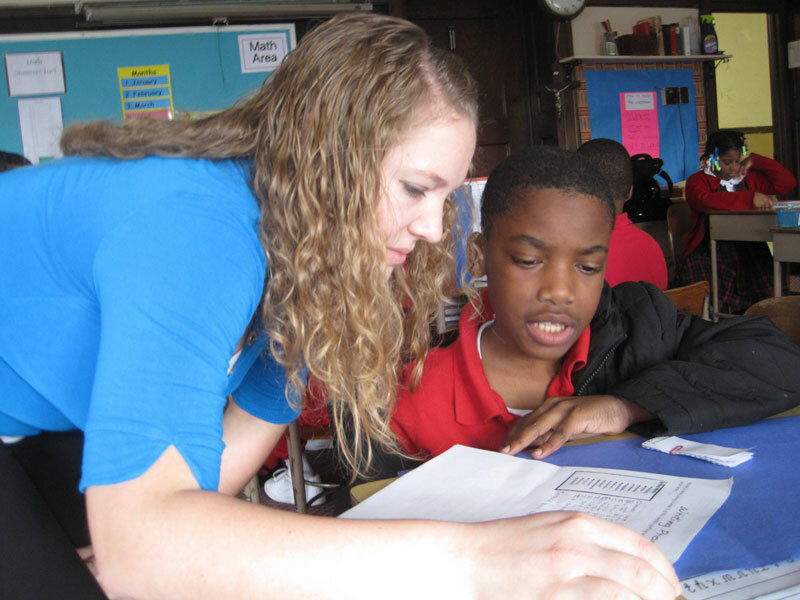 OMD provides comprehensive supports to community college students, including tutoring, volunteer coaching, financial assistance and professional development. OMD Scholars graduate at twice the state average with the skills and experiences necessary to launch upwardly mobile professional careers. One Million Degrees Scholars are low-income, highly motivated students pursuing degrees in diverse fields including healthcare, education, medical technology, and computer sciences at community colleges. Taller de José serves as a bridge between service providers and the many individuals in the community who face barriers. The primary needs seen are legal issues, domestic violence, financial needs, and immigration concerns. Taller de José provides the extra support and advocacy needed to help individuals travel to the service provider, navigate the social service system, and communicate with service providers who may not speak their language. The volunteer serves as a Compañera/o (companions). 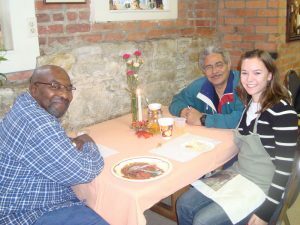 They meet with people individually, listen to their stories and their voices, provide emotional support and referrals to community resources, translate for them and then also accompany individuals on public transit to wherever they need to go to, accompanying people to courthouses, legal help desks, medical appointments, and public aid offices. *Spanish language required. Little Brothers is an agency devoted to relieving the loneliness and isolation of the elderly. They operate under the motto, “flowers before bread,” believing that in addition to the basic necessities of life, each one of us, including the elderly, has a strong need for the special pleasures that make life worth living. 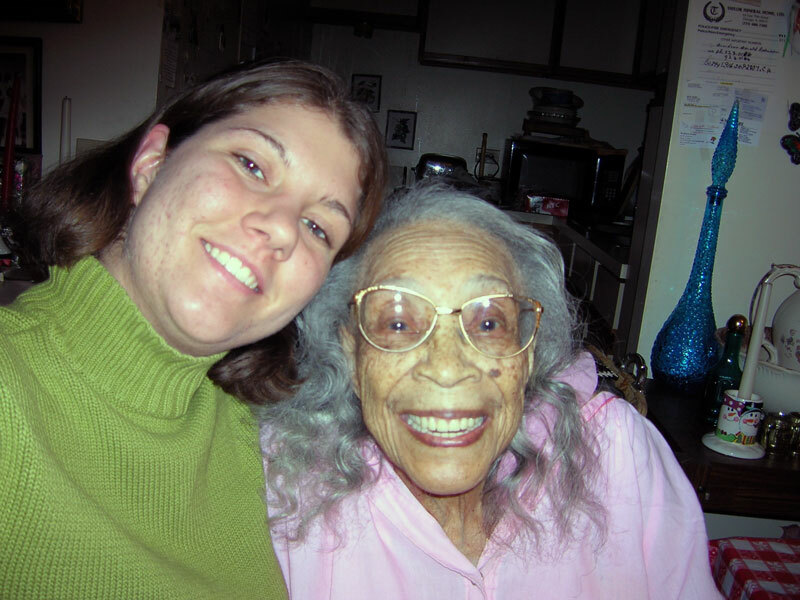 Volunteer’s primary responsibilities are to visit with elderly at their homes, assist in helping them meet their daily needs, and coordinate special celebrations including holiday parties, vacations, and birthdays. The mission of Sarah’s Inn is to improve the lives of those affected by domestic violence and to break the cycle of violence for future generations. Serving Chicago’s West Side, Oak Park, and more than 20 local communities, this ministry provides services including a crisis line, advocacy work and individual counseling for women, men, teens, and children as well as support/education groups for women, teens, and children. Volunteers serve as crisis intervention advocates, helping with the crisis line, providing support to individual clients, and acting as a group facilitator. 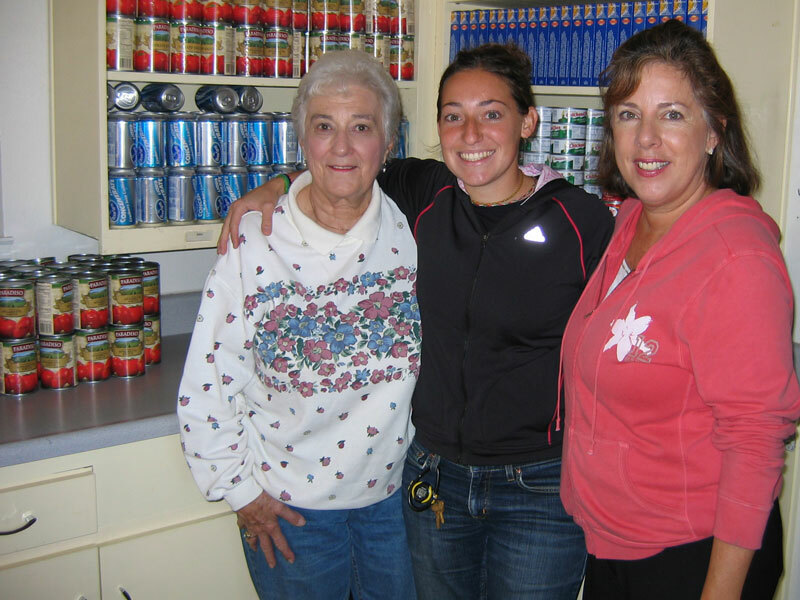 St. James Food Pantry provides distributes food, provides emergency services, provides lunch for people who are experiencing homelessness, delivers food to homebound seniors and people who are disabled, and provides food stamp application assistance. 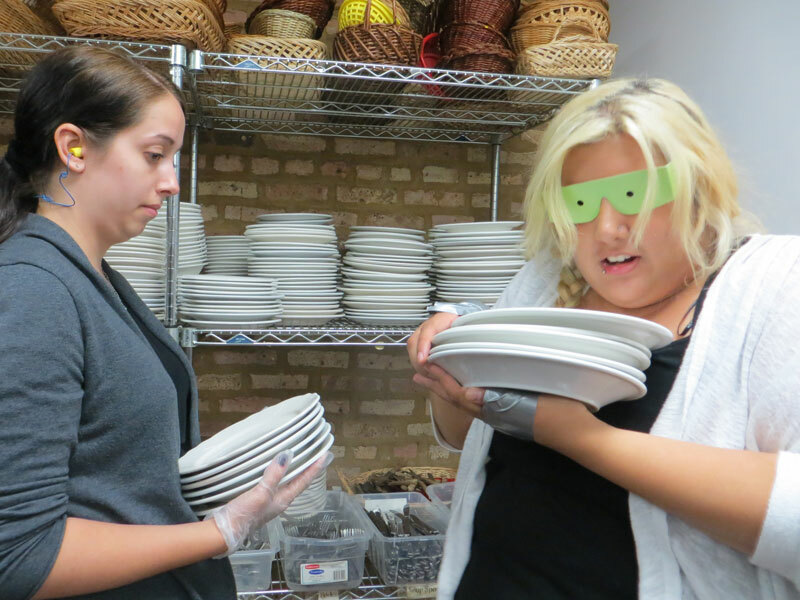 Saint James Food Pantry clients are served solely on whether or not they reside in the 60616 or 60605 zip codes. High unemployment levels and the increasing scarcity of affordable housing produce a greater need for the services Saint James Food Pantry provides than ever before. 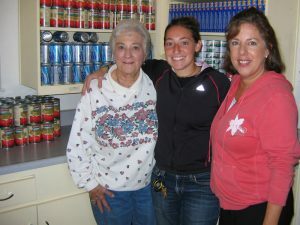 The Dominican Volunteer serves at the Volunteer Coordinator at Saint James Food Pantry. The Volunteer Coordinator’s main role will be to recruit, train and supervise volunteers, and to maintain relationships with individual volunteers and volunteer groups. A five-member team, consisting of two Dominican Volunteers and three Adrian Dominican Sisters, sets monthly goals to cover the needs of these three integrated ministry positions. Set in rural, small town Adrian, MI, this team serves the local working-class community through modeling care of creation through right relationship with the earth, planning activities and events that advocate for peace and justice, and providing assistance to immigrants in an immigration office. Volunteers will divide their time between 1-3 of these three integrated ministries depending on their skills, language abilities and interests. The immigration policy/legally inclined volunteer will accompany people to court hearings, help immigrants tell their immigration story, and process immigration paperwork. 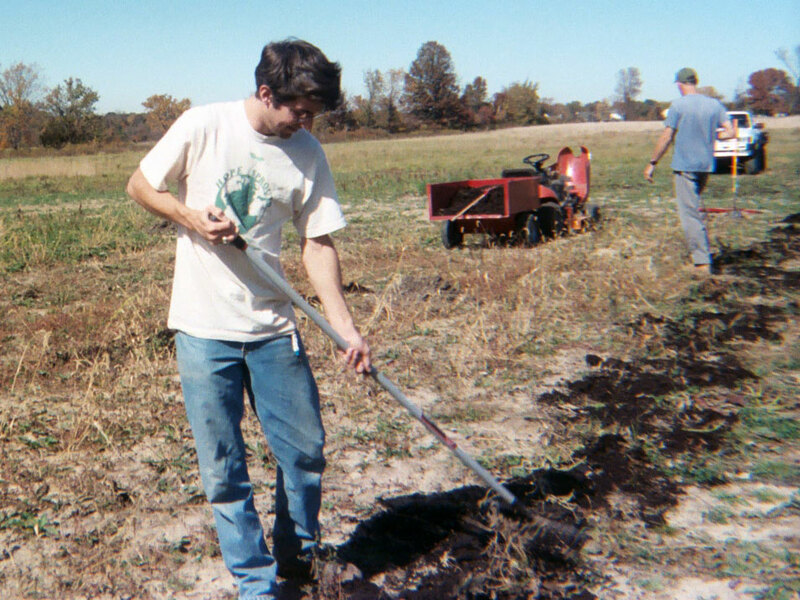 As a farm-hand*, the volunteer will work with the land weeding, mulching, planting, harvesting and will help with general maintenance of the garden, worm bins, hoop house etc. As an advocate for peace and justice, the volunteer will assist in executing various educational and action oriented events to promote justice and peace. The Adrian Dominican Sisters have identified immigration, climate change, nuclear disarmament, the death penalty, human trafficking and Iraq as significant issues to focus our work for justice, peace and integrity of all creation. Some travel required, as this volunteer will attend conferences and events. The Marywood Campus Sustainability and Recycling Project Coordinator is responsible for evaluating current waste and disposal practices, researching and developing waste prevention strategies; and implementing recycling programs. 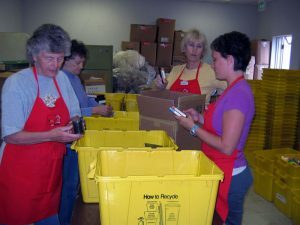 The coordinator serves as an advocate for sustainable waste management practices by educating and engaging staff and residents in better waste diversion with the goal of moving the campus of Dominican Sisters Grand Rapids toward Zero Waste. The Marywood Campus consists of Marywood Motherhouse (Dominican Center, Administration Offices, Sisters’ residence, Dominican Chapel), Aquinata Hall, Marywood Health Center, and Whistle Stop Child Care. The volunteer will collaborate with many different offices and should be someone who has knowledge of or great interest in issues related to sustainability and recycling with plenty of enthusiasm and high level of energy with excellent problem solving skills. The Holy Name of Jesus Parish is made up of Ordinary people involved in the extraordinary. The parish is 95% hispanic. It is an engaging Catholic Community dedicated to Christ’s mission through worship, education, stewardship and outreach. Bridging city and suburb, they are disciples, making a difference here and in the life to come. The volunteer will serve as either the Confirmation Catechist, 2nd or 3rd grade Catechist for the Parish. Spanish language skills required. The Eco Justice Center continues to evolve in living the mission of environmental education and care of Earth in the context of community, contemplation, creativity, and cultivation. A 1912 farmhouse, green house, hoop house, honey house, hermitage, educational center and tree house are sites for learning and exploration and use solar hot water, solar electric, geo-thermal heating and cooling, and wind electric from our 10Kw wind turbine. 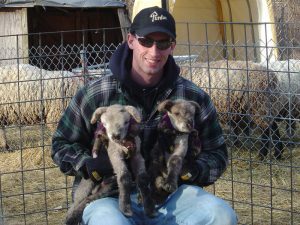 The Dominican Volunteer here helps care for the animals onsite; care for lands (pasture, organic gardens, wetlands, lawn); develop educational curriculum for groups (field trips and tours of EJC); and more. Capital IDEA funds qualified participants’ tuition, books and educational expenses. Upon graduation Capital IDEA provides resources to secure employment which pays a living-wage, benefits and opportunity for career advancement. Serving in the position of Career Navigator, the Dominican Volunteer is responsible for assisting and supporting the participants’ successful upgrading of his or her academic skills, job readiness, together with career services staff, successful employment. Casa de Esperanza de los Ninos-the House of Hope for Children is a safe place for children in crisis due to abuse, neglect or the effects of HIV. 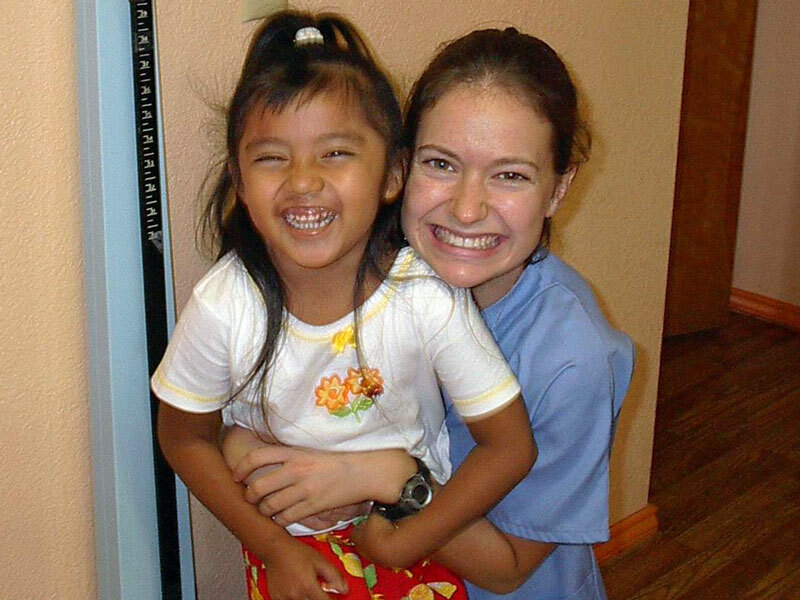 Casa de Esperanza provides residential care, and coordinates medical and psychological services according to the needs of each child. 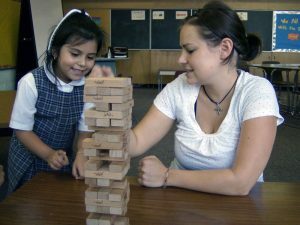 Casa de Esperanza strives to break the destructive cycle of child abuse by offering safe homes to children of families in crisis. 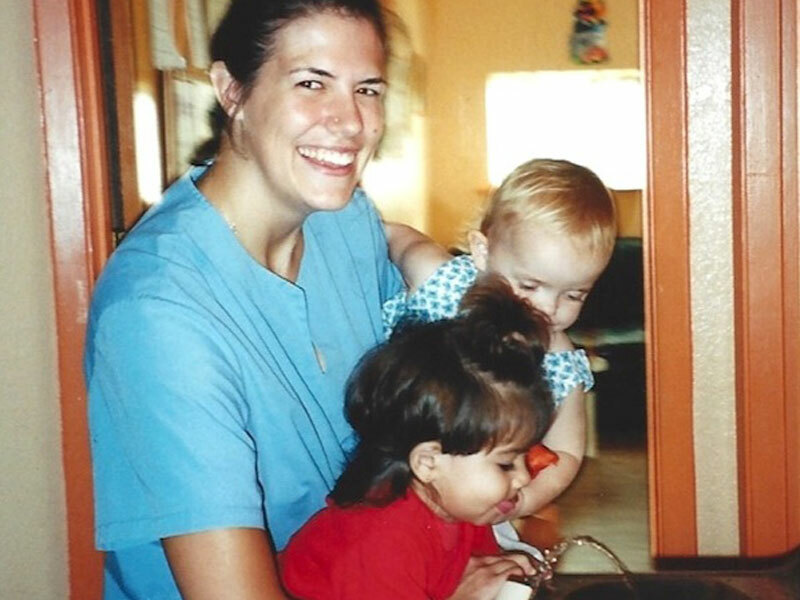 The goal of Casa de Esperanza is to return physically and emotionally healthy children to stabilized homes where caregivers can safely provide daily care. Children receive comprehensive assessment and intervention services while in placement. Parents receive case management and referral services while their children are safely cared for. When family reunification is not possible, Casa de Esperanza is licensed to supervise long-term foster care and adoptive placements. The goal of Casa de Esperanza is to break the cycle of child abuse and neglect, one family at a time. The volunteer helps provide daily care of the children, household management, and the coordination of medical appointments and therapy sessions. The volunteer also works with caseworkers, psychological staff and community volunteers on a routine basis to ensure that the children in placement receive the highest quality of care. 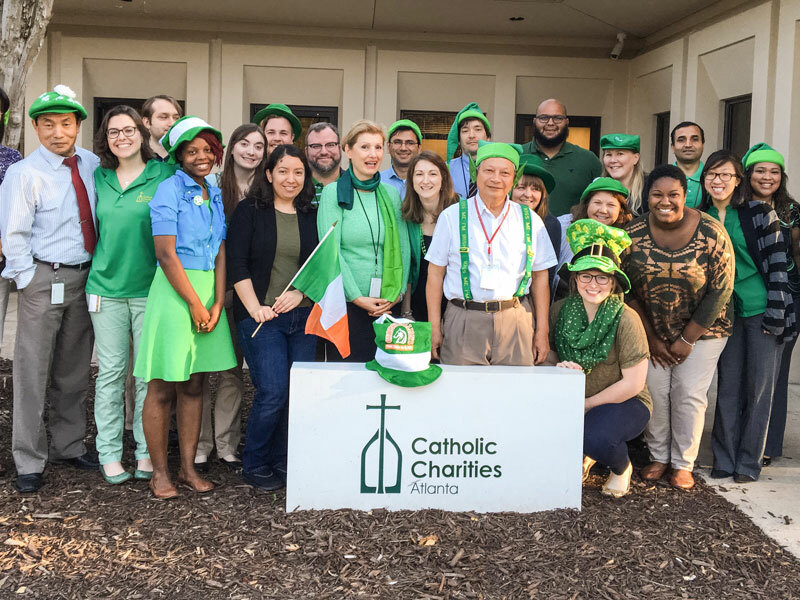 Catholic Charities Atlanta provides two distinct volunteering positions within the Refugee Services team. 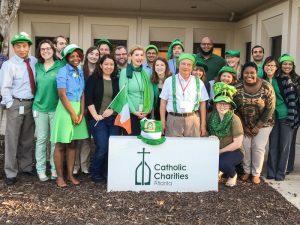 Catholic Charities Atlanta provides Refugee Services to refugee families arriving in the metro Atlanta area, designed to help refugees achieve economic and social self-sufficiency within their first six months in the United States. As an Employment Specialist, the volunteer serves on the Refugee Services team responsible for helping refugees from Iraq, Burma, Congo, and other countries secure employment in and around Atlanta. The volunteer will make new contacts with local employers, conduct pre-employment classes focusing on culture and expectations in the American job market, support resume and interview skill development, and then help connect individuals with open positions. Spanish, French, Swahili, or Arabic recommended but not required. 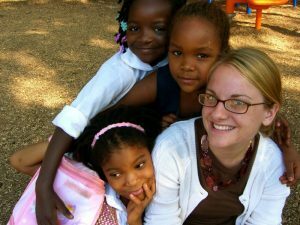 As a Refugee Support Specialist, the volunteer serves on the Refugee Services team, serving refugees and other eligible populations in the Atlanta area. 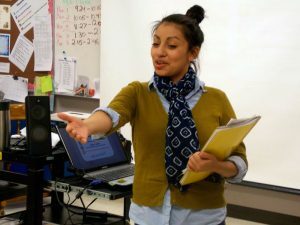 The DV will work primarily with refugee students newly resettled in Atlanta: those who have fled persecution in their homelands with their families and are starting school in the United States for the first time. The Refugee Support Specialist will work part of the day in the Refugee Services office and part of the day at the refugee after-school program. The program is designed to provide academic support to refugee students identified by the school as needing help in developing English literacy and academic skills in a one-to-one or small group environment. Responding to the call of the Gospel, Christopher Homes strives to provide decent affordable housing to the vulnerable members of our community in New Orleans. All who are associated with Christopher Homes, Inc. have the right to respect, dignity and a sense of well-being. Therefore, through the service and commitment of our staff and volunteers, we will enable our residents to grow spiritually, socially and intellectually, empowering them to develop their optimal potential. The volunteer serves as a member of the Pastoral Care Team. The pastoral team provides spiritual care such as Mass and other sacramental opportunities; individual visits; memorial services and other prayer experiences; small group discussions; and Bible study. 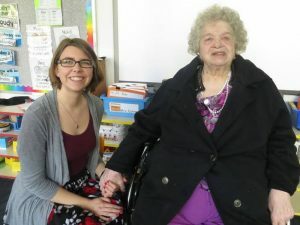 All of our activities are designed to help build relationships and foster community among our residents, who are often lonely, suffering illness or loss of mobility and independence, or alienated from family. preparatory curriculum, integrated with a relevant work study experience, students graduate prepared for college and life. Dominican Volunteers can serve at Cristo Rey Atlanta as teachers or teacher’s aides. 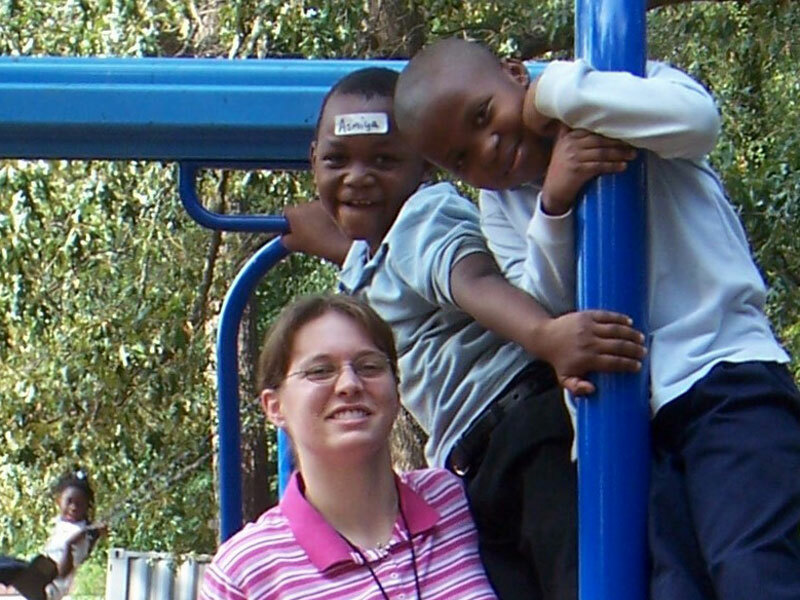 Hotel Hope in New Orleans is a nonprofit, interfaith organization that provides housing to women and their children while guiding them to self-sufficiency and self-empowerment through intensive case management in a safe and loving atmosphere. Hotel Hope MLK envisions the preservation of the family unit and the elimination of homelessness through systemic change. As the Shelter Coordinator, the volunteer provides operational support to site staff and volunteers for Hotel Hope MLK. The volunteer joins a compassionate team that respects the dignity of all human beings and believes in providing opportunity to all. St. James Elementary School is located in the Mission District of San Francisco and serves an ethnically, culturally and socioeconomically diverse student body. Acknowledging that parents are the primary educators of our students, St. James strives to work collaboratively to ensure success of all students. Students are challenged to recognize their important role as future world leaders guided by the Gospel mandate to serve one another in love. As leaders in the faith community, the faculty instills a strong sense of Catholic/Christian values, self-worth, moral responsibility and 21st Century skills. Students grades K-8 are empowered to reach their full potential by fostering the development of the whole child, thus enabling the students to continually grow as positive, contributing members of the Church and society. Volunteers support staff in a variety of ways including teaching, tutoring, free-lunch programming and more.